Nothing makes better stock than a Thanksgiving turkey! 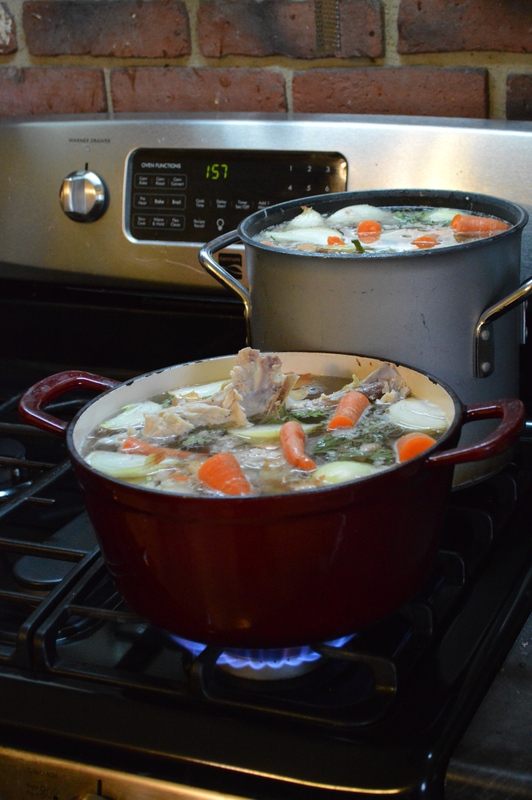 Even if you don’t use the stock right away, it’s always beneficial to make it and toss it in the freezer for a snowy winter day when you’ve been busy Christmas shopping. It’s wonderful to pull out some leftover shredded turkey, a jar of stock, make a quick batch of homemade noodles and have a rich homey meal with virtually no work! 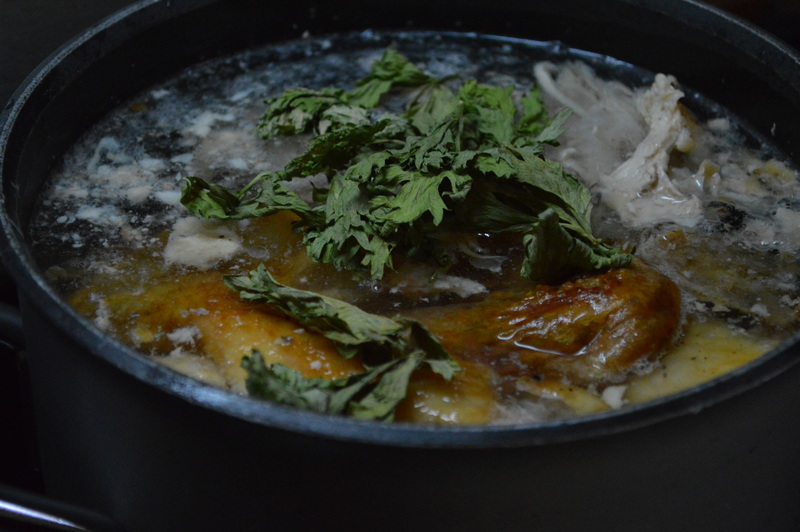 So today when you are done feasting, just cut the meat off the bones and throw the turkey carcass and any skin into a large pot (or two). I had a 20lb turkey and it took two large stock pots to fit. I took the wings and legs and scraps and put it in the tall one, and the main part of the turkey I broke in a couple pieces to make it small enough to fit in the cast iron pot. If you still have the neck and innards, you can toss those in there too. Cover it with water and add onions, celery tops and carrots. When I was in junior high, I had to take Home Economics class. It was fun to learn to sew and cook with all my friends. 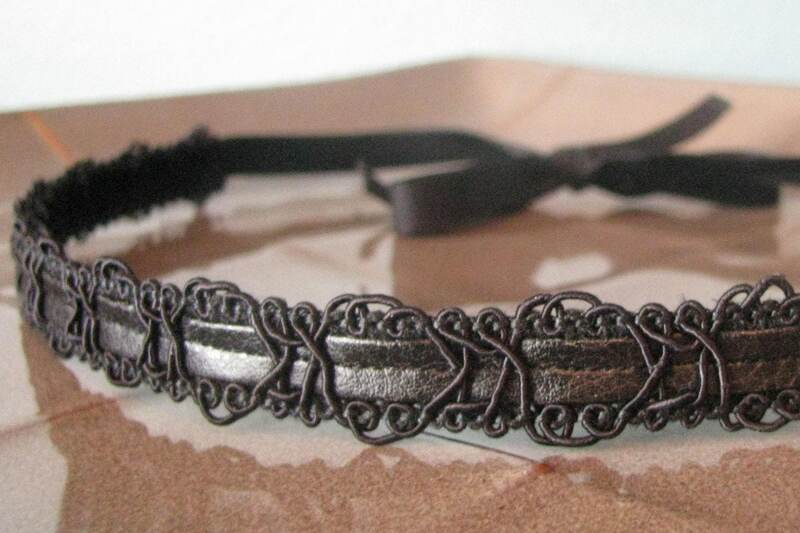 One thing I made in that class has stuck with me all these years and luckily, I have a mom who keeps everything. So when I asked my mom if she remembered the pumpkin pie ice cream cake I made in junior high Home Ec class, of course she had the recipe!!! I made it this week and prayed that my adolescent taste buds wouldn’t fail me. They didn’t. It’s amazing! 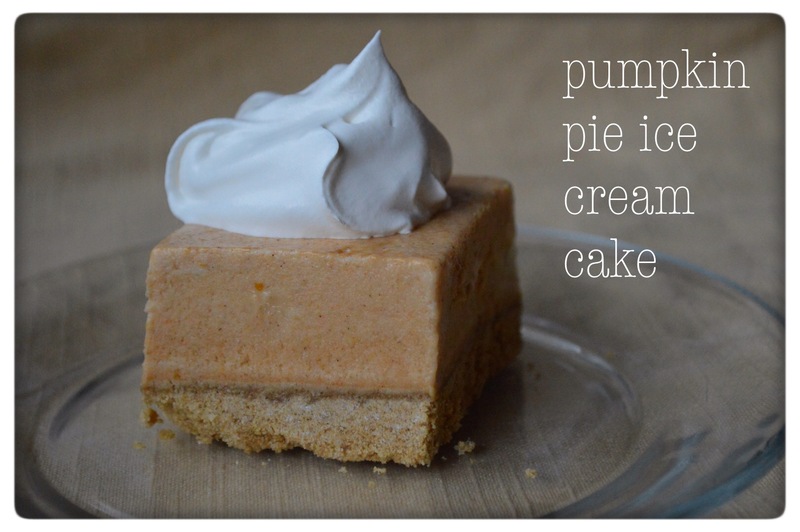 So try it this Thanksgiving as an alternative to the regular old pumpkin pie! 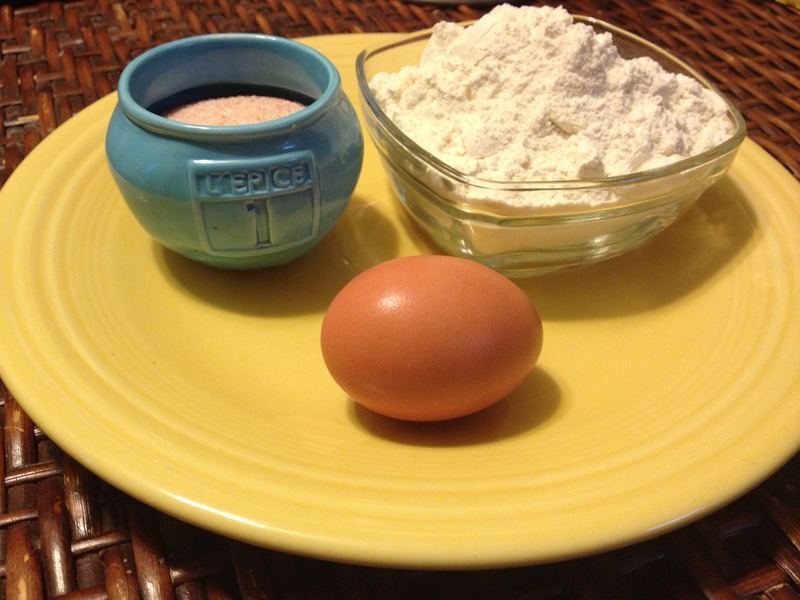 I can’t believe that these ingredients make the most delicious egg noodles I’ve ever tasted. No measuring, no actual recipe, just a few ingredients and 15 minutes and you have yourself homemade egg noodles that would impress anybody! I love my hubby’s grandma. She has helped over the years by showing me skills people used to naturally pass down to the next generation – quilting, canning, baking bread, making noodles, whipping up a batch of pancakes. Somehow these things are becoming a lost art. But there’s something so comforting to know that if you have just a couple ingredients, you can make a delicious meal for your family. No grocery store needed! My husband has worked commission jobs most of our marriage. We got into the habit of stocking up on food when he got paid well and it stuck. In the midst of that, my flighty, creative mind is always thinking of new things to make, and my impulsiveness lends itself to cooking something new rather than something we already have. All these factors added up mean that we always have a fully stocked fridge and freezer and pantry. Because of that, I feel like I waste a lot of food. It freezes when the fridge is too full. I forget stuff is in there, so it goes bad before we use it. I know there are lots of super organized people who shop once a week and have their little meal plans and run a tight ship in the food department. I’m not one of them. Lately, I’ve been feeling convicted that I’m not being a good steward of what God has provided for our family. Maybe it’s not a creative mind. Maybe it’s a rebellious spirit that I want what I saw on Pinterest for dinner, not what I have in my house. And maybe some of it is sheer lack of willpower to see interesting ingredients at the store and not purchase them. So one day my son said to me “I bet we could eat for a whole month just from the food we already have.” Hmmm…good idea! I thought I’d make a game out of it with my kids. How little can we spend on food for the remainder of Nov and the month of Dec. How much of what we have already can be used in the next two months? Here’s the rules: I can’t buy more than 2 ingredients per dinner. Most of what I buy needs to be fruit, veggies and dairy. All the money we save each month from our allotted grocery money goes into the fund we have to replace one of our poor cars. Good incentive. So let the games begin! 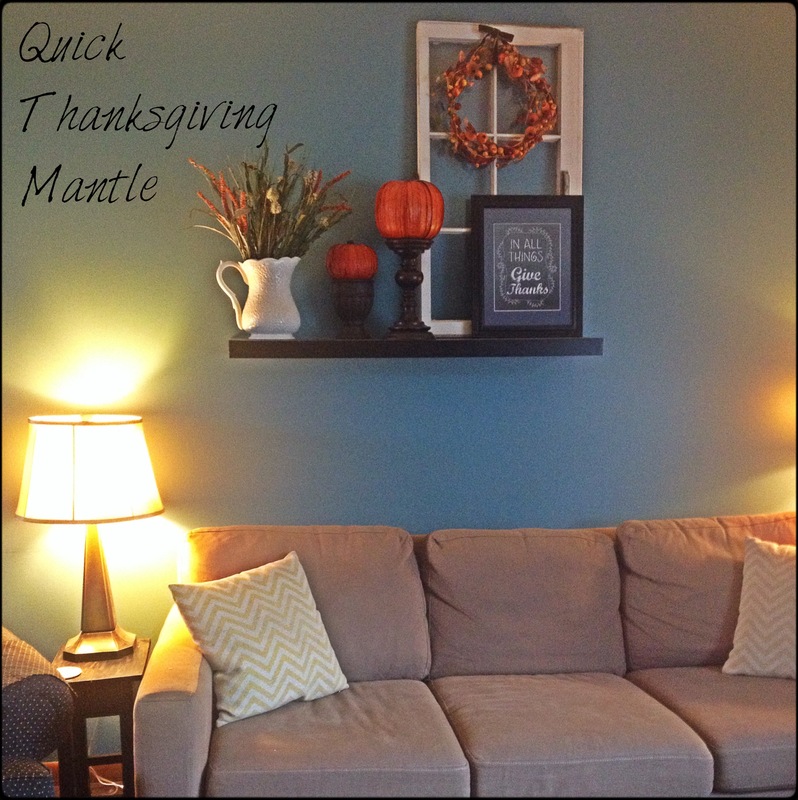 Do you need a quick update to your mantle before company arrives for Thanksgiving? I threw this mantle together in about a half hour, with things I already had on hand! There’s nothing I hate more than wasting a bunch of perfectly good veggies on stock. What’s even worse is opening the fridge and seeing that I have no celery and have to go buy some just to throw in with a chicken carcass! So, I usually save my scraps of celery, carrots and onion when I’m cooking for chicken or turkey stock in the future. I do it a couple ways. 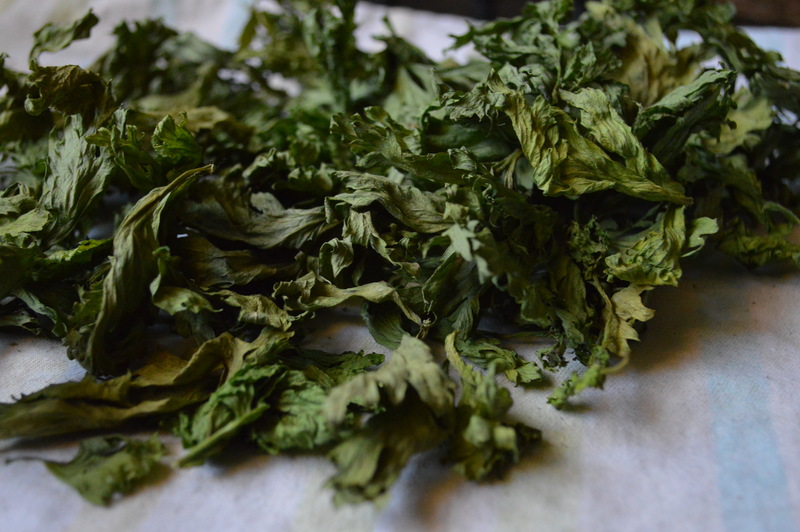 The first way is to dry my celery tops. My mom used to do it when I was a kid by using a needle and thread and threading the hunks of celery leaves to hang dry. But I’m lazy. Ummm…I mean busy! So I just throw them on a clean kitchen towel or paper towel and toss them around with my fingers every day to make sure they all get dried. 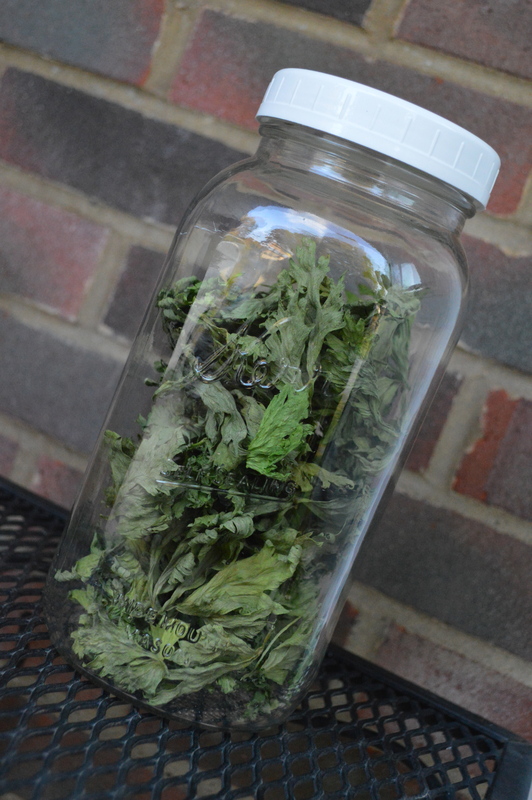 Then I store them in a mason jar and when I need to make stock, I just pull it from there. I know people love to make pecan pie for Thanksgiving. I loved it too, before I had a little one that was allergic to all nuts. While I do still keep nuts in my home, I feel a little anxious having items like that out at family gatherings when my kids aren’t necessarily under my watchful gaze at all times. They are running around with cousins and snacking off tables without my knowledge. 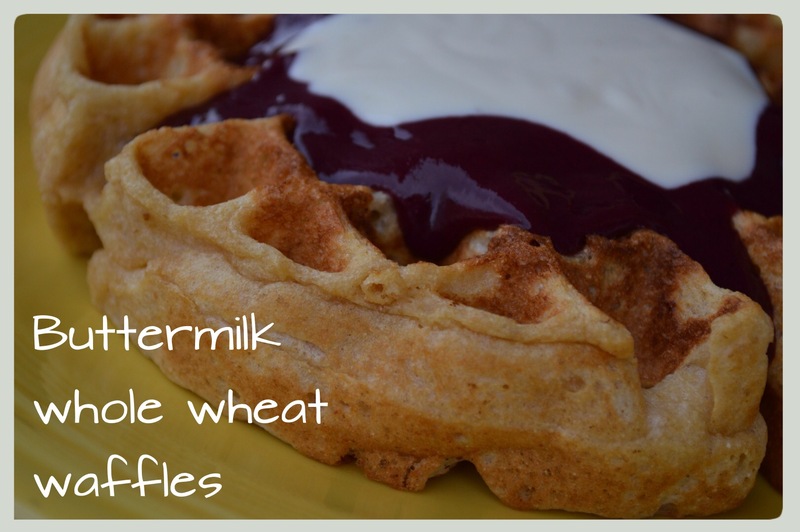 So I ran across this recipe last year and was shocked at how delicious it was! It tasted so much like pecan pie because it still had that signature sweet custardy kind of insides with the salty topping of pretzels, rather than pecans! Another plus is that a bag of pretzels is way more economical than pecans. So here’s my Thanksgiving gift to you, whether you’re nut free or not, you’ll be a fan! 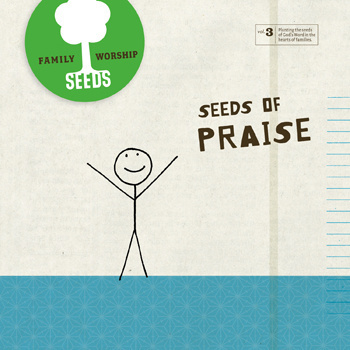 Free Seeds of Praise CD Through Thanksgiving! Our family loves the Seeds family worship CDs. The basic premise is to put scripture to music that is actually enjoyable for the whole family. It’s not kiddie music! It’s catchy stuff that even my hubby and I love. They have Seeds of Praise, Seeds of Purpose, Seeds of Courage, Seeds of Faith and more. I just found out that they are offering a free CD download from now until Thanksgiving! It’s a great way to wet your appetite for this amazing music. What better way to push out the crap that the world tries to feed us, than to fill our hearts and our lips with the Word of God! Get your free CD here! Click the link below, select “Buy Now”, name your price as $0, and then download to your preferred media player. Join our mission to get God’s Word to families by being a Seed Planter yourself. Feel free to share the link with your family and as many friends as you want.